Publisher Condé Nast announced in a memo this morning that it is shutting down four magazines — Modern Bride, Elegant Bride, Gourmet and Cookie — following a drought in advertising revenues as a result of a contracting economy, and as more readers turn to the Internet. The most significant closure for the the publisher of Bon Appetit, The New Yorker and Vanity Fair magazines however, is that of longstanding Gourmet magazine, which has amassed a devoted following and is is forced to stop its circulation after nearly 70 years of food and lifestyle publication. 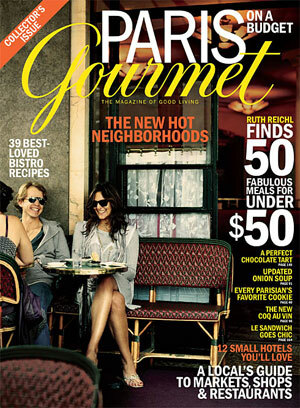 The shocking decision by Condé Nast on Gourmet magazine, considered the queen of American food publications since its first issues rolled off the presses in 1940, comes amidst one of the most severe downturns in publishing in memory. The latest magazine shutdowns “combined with cost and workforce reductions now under way throughout the company, will speed the recovery of our current businesses and enable us to pursue new ventures,” Chief Executive Chuck Townsend said on Monday in a memo to staff. According to Reuters, the decision to close the magazines comes after a source told Reuters on Friday that Conde Nast — which is under the umbrella of Advance Publications — may work with Time Warner’s Time Inc, Hearst Corporation to set up a digital newsstand for people to read magazines, and get charged for them, on mobile devices such as electronic book readers.